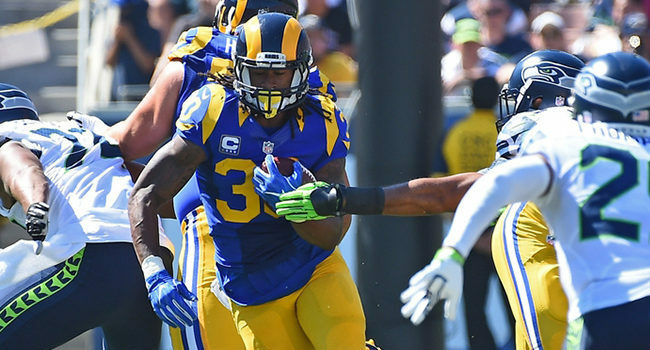 The Los Angeles Rams reached an agreement with running back Todd Gurley on a 4-year, $60 million extension on Tuesday, July 24, according to multiple reports, including ESPN NFL insider Adam Schefter. The deal includes $45 million guaranteed and keeps Gurley with the Rams through 2023. Gurley rebounded from a horrid 2016 season to stake his claim as one of the NFL’s elite running back last year. 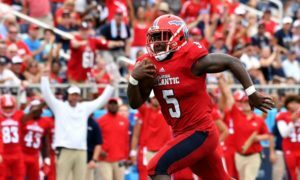 He registered 279 carries for 1,305 yards and 13 touchdowns as the featured back in head coach Sean McVay’s system. Gurley also emerged as a top receiving threat, catching 64 passes for 788 yards and six touchdowns. The third-year back led the NFL in total yards with 2,093. 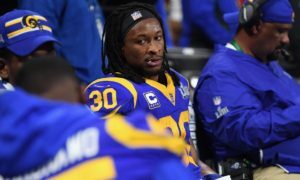 Gurley’s extension came as he started making noise on social media about his contract and the contracts of fellow elite running backs around the league, especially the Pittsburgh Steelers’ Le’Veon Bell. His contract likely resets the market on starting running backs in the league at a time when many teams view the position as an evolving one. Meanwhile, the Rams appear to be getting their payroll in order for the future. 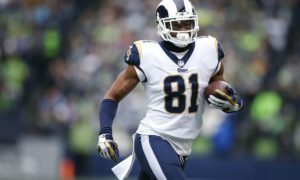 This contract follows a similar format to wide receiver Brandin Cooks’s deal, which simply tacks on the new money to the end of the current deal. With Gurley and Cooks’s deals in the books, their salaries can now be counted as the team works to re-sign defensive tackle Aaron Donald.